As my husband and I are going through our second full watch of Star Trek as a couple, I thought it would be fun to report on the highlights along the way. So I decided to copy the same format as Charlene. See her favorite episodes of Deep Space Nine season seven. I can’t believe I have finished DS9 for the second time! Ack! It was so good. I just love the last several episodes of the show and the finale. But despite my love for the last several episodes, my five favorite episodes are actually scattered throughout the season. 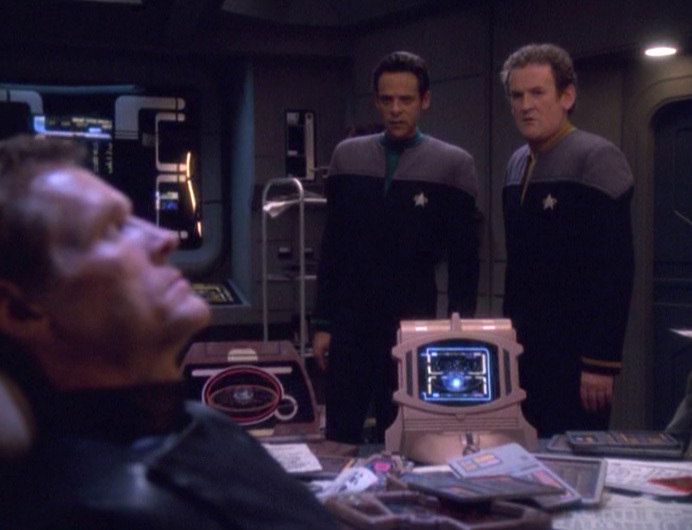 One of the last episodes of the show, in which Bashir is able to bait Sloan from Section 31 to the station. When he demands the cure to Odo’s disease from Sloan, it won’t come easily. It seriously feels like Christopher Nolan watched this and drew inspiration from it for Inception. 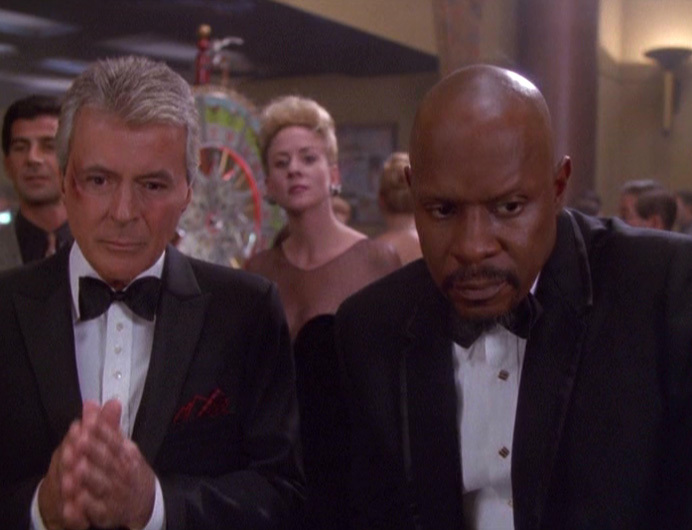 Thanks to a programmed “jack-in-the-box,” a mobster comes after Vic Fontaine, and the DS9 crew plan a heist to get Vic back into business. This one is just so much fun. A finale where everything right happens, even when there is sad in it too, and everything just feels complete. I loved this episode the first time, but it for sure made me teary-eyed this time around. After Nog loses his leg, he immerses himself in Vic’s world to forget his real-world troubles. Nog and Vic’s conversation in the end is pitch perfect. 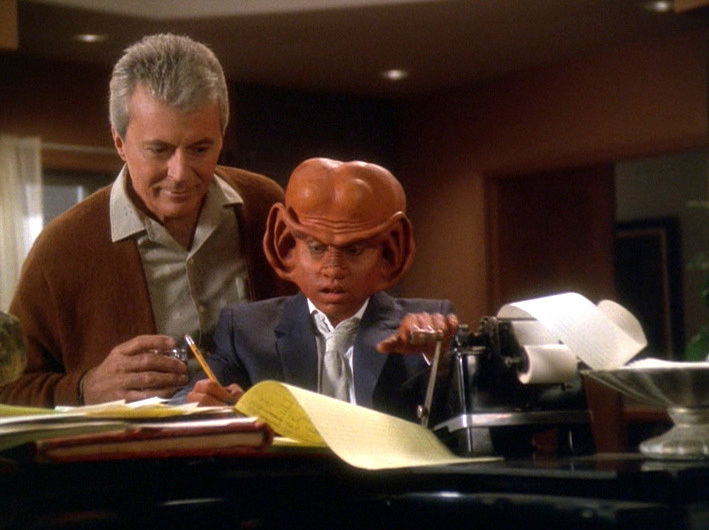 And Nog’s character arc… just wow. I love it all. 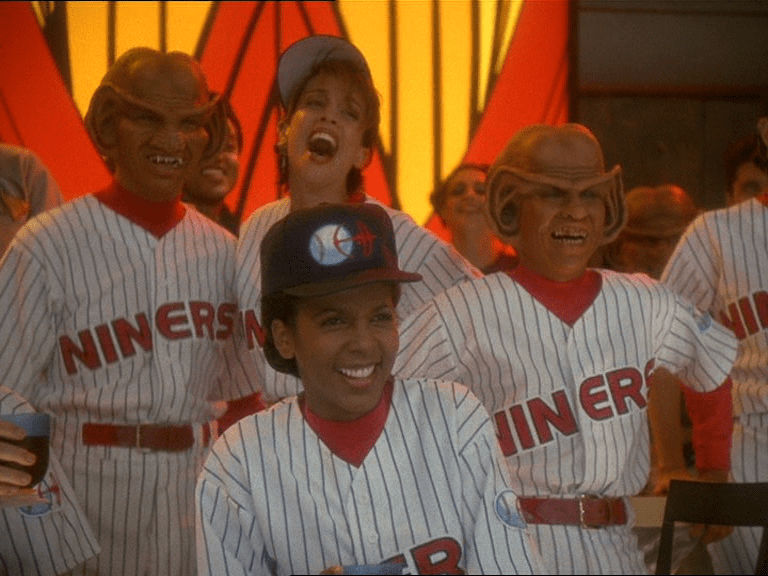 What are your favorite episodes of Deep Space Nine, season seven?